Family size delicious, smooth, nutritious, premium quality pinto beans. Fully cooked and ready to enjoy immediately. 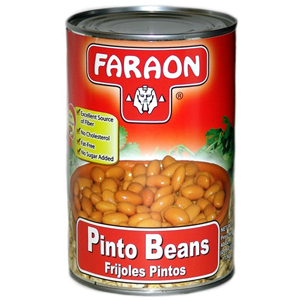 Faraon Pinto Beans are so good and good for you that we say "Que Ricos Son! "tm.